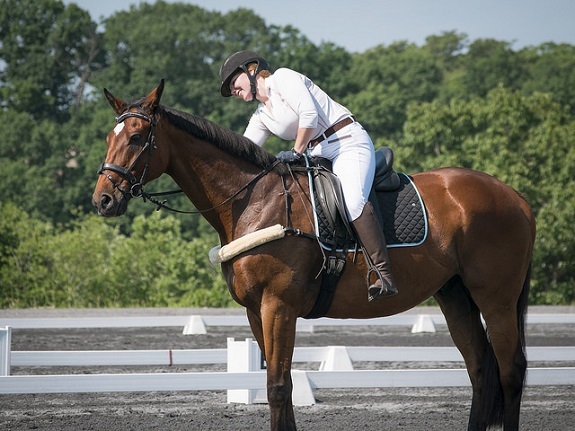 As has become habit, I reviewed this year's dressage tests to see if anything can be learned by looking at the season's numbers from a holistic perspective. 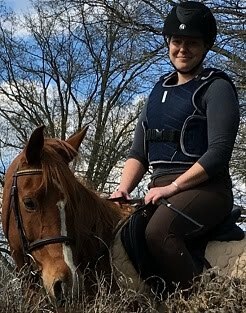 Charlie and I rode 7 dressage tests this year - 2 at Beginner Novice, and then 5 at Novice, all Test A.
charlie really got the hang of this game throughout the season! The 2 BN tests were very different from each other: One was our earliest outing of the year, and the dressage court footing was literally frozen. That test was all 6's and nothing worth writing home about. The second BN test was at Full Moon Farm, where we had to scratch from jumping bc of Charlie's splint, but decided to make the dressage test really count. And it did - we were rewarded with a much nicer score. But a sample of N = 2 isn't really that interesting, ya know? Plus it's kinda hard to compare movements and scores from two different tests. So let's instead look exclusively at the 5 USEA Novice Test A score sheets from the 2018 season, shall we? All scores are recorded for the sake of transparency (tho I omitted the -2 error from our most recent test, since getting lost is unrelated to the movement itself). For each score, I've included a spark line to visualize the trend, provided the overall average, and calculated a categorization based on the standard deviation of scores for each movement. "Consistent" movements had the lowest standard deviation among scores, "Variable" movements had the highest, and "Hit or Miss" movements were somewhere in between. Right away, I'm pleased to see an Average Final Score of 33.86%. That's not earth shattering by any means, but it's on the better side of "Satisfactory" (40.0%). And as we have seen this year, if Charlie can pair that kind of score with clear jumping, it often puts us within striking distance of the top placings. 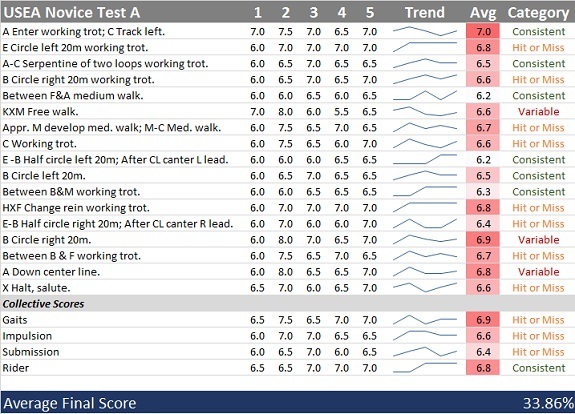 The Trot (4) and Transition (6) movements are the most prevalent in this test according to my classification. Transitions are self explanatory, covering any change of gait (but not including the change from free to medium walk). Trot covers the circles obviously, and also the changes of direction (two loop serpentine and diagonal). 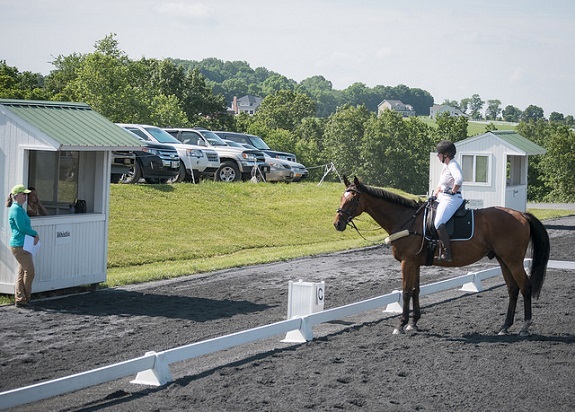 Walk includes the free and medium walk scores, Canter includes its two circles, and the Exit includes the center line turn and final halt. Right away, we can start seeing a more clear picture of how judges actually perceive our tests. Charlie often enters the ring well, offering a good first impression to the judge. That impression isn't always durable tho, something worth thinking about. 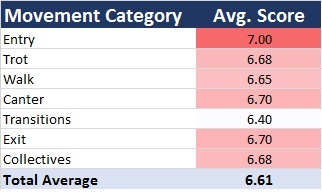 These are the 7 movements that had the lowest standard deviation among scores -- meaning they were the most consistent (for the most part, a range of about half a point). The list is sorted by average, starting with the consistently good and ending with the consistently bad. The good? There's that entrance again! Apparently that's a reasonably reliable 7. Obviously it pleases me to see the Rider score at the consistently good end of the spectrum too. The A-C two loop serpentine is interesting too bc it basically scores a 6.5, but none of the judges this year particularly liked how we did it. Early in the year I didn't quite hit that moment of straightness between the two loops, and by the end of the year I wasn't quite circular enough at the beginning and end. So clearly I still have room to improve my geometry here, which makes me believe this score, tho consistent, could still climb with just a little more work. Next on the list is our left lead canter circle - the first canter of the test. I'm happy this score is consistent, but Charlie has a better-than-6.5 canter. It usually takes me until the second circle to remember to ride it tho. Last three are all transitions. And they're all..... consistently bad haha. Like, I'll take a consistent 6+.... But.... Yea. Needs work haha. Next we see the grouping with a little bit of a wider range in how we scored (generally, about a 1 point range). Again, sorted from best to worst. What this tells me is that each of these could be better - we've demonstrably scored well on them as evidenced by that higher standard deviation score. But we can also screw them up pretty good too haha. Honestly it always surprises me to see Charlie get such high Gaits scores. He's not an extravagant mover. He's not what you would think of as "fancy." But he's correct and developing into a very elegant picture. Generally speaking, there's a lot of really well scoring movements in this grouping. All but the last two average 6.5+. Obviously tho, a 1pt swing in any or many of these scores can have a big impact on final score. So to me, I read this as a bit of a cautionary tale: 11 of 21 of this test's movements are hit or miss. They can be great but they can also be crappy if I'm too complacent. 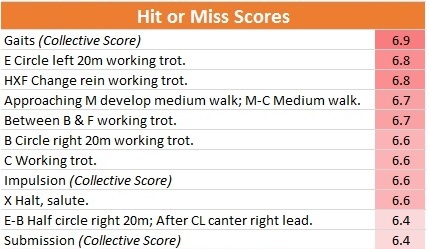 In particular, all those trot scores stand out (and the Impulsion collective). In a lot of these tests I've sacrificed some oomph from Charlie's trot in order to get a little more suppleness and balance. We usually get dinged for that, tho, and I think Charlie's finally getting strong and consistent enough to carry a bit of a bigger, brighter trot into his tests. That could be the difference maker, maybe. Also, halts haha. We're crooked always. That's just plain old lazy riding, Emma. It could be so much better! Lastly, let's look at the movements with the highest variability in scores (with a range of about 2 points). I'm honestly not going to read too deeply into it tho. These are the movements for which the judge at Plantation gave us 8s - our only 8s (and 7.5s, for that matter) of the season. Plantation remains our record best score on this test, in large part due to those 8s, but it simultaneously was not a test I felt great about (and obvi the rest of the day proved that the bad feeling was justified....). Still, tho, there's something worth thinking about here. That right lead canter circle makes sense as a high scoring movement bc it's usually at this point in the test that I remember to sit up and show Charlie's canter off to the judge. I feel like a skipping record saying this, but Charlie really should score better on his canters. This just confirms that in my mind. Finally, our center line turns have improved greatly - thanks in large part to spending a winter turning up the center line of our 20x40m indoor arena for grids lol. They're hard tho and sometimes we're unbalanced. That free walk tho? Like the canter, Charlie has a very good walk. Sometimes we get distracted tho, and sometimes I create some rigid bracing in his step. always useful to get some input from the judge! 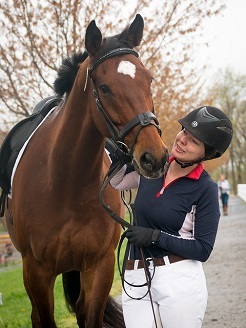 So there ya have it: a comprehensive quantitative analysis of Charlie's 2018 season of Novice dressage tests. Last year's summary is here, for anyone interested. Biggest takeaway? Transitions transitions transitions haha. Thank goodness it's boot camp season, right?? Anyone else getting ready for dressage boot camp this winter? What will you be working on? I can't even deal with how cool this analysis is. That's a pretty awesome average to have!! It can only get better too! thanks - i was pretty pleased to see that too!! esp considering with the exception of the somewhat outlier-ish plantation test, every single score this season was a 6, 6.5 or 7 (well, ok we had ONE 5.5 too...). very very very consistent. not like, amazing, but consistent. and consistent works for me! I absolutely LOVE this break down!!! Wow...that’s a neat breakdown and a solid way to go into the training winter. Is there a specific program you used to do it? God bless you and Excel. This makes my data analyst heart sing. Sparklines! Variation! Conditional formatting! Lol yessssss!! And pivot tables and nested if statements and descriptive statistics, oh my!! I love a good statistics table :D I'm a scientist, so data and I are buddies. oh man this is so cool... You should make a google doc or something to share!! I love the little graphs. yea agreed that the comments are generally really useful. luckily for the most part, the commentary this year has been pretty directly applicable too. and, like you say, reasonably well aligned with what i already knew about our weak spots. what really stood out to me tho from this analysis is a scale factor i hadn't considered. especially vis a vis transitions. i knew downward transitions were often a weak spot (particularly canter/trot) but didn't really put it together how freakin MANY transitions there were, and didn't realize we were actually kinda weak at ALL of them lol... even just raising that transition average by half a point would make a BIG difference on my overall score. definitely helps provide focus for my schooling! I so wish I had the skill to do this! I love it. i promise it's not as hard as you might think!! step one is just plopping everything into an excel sheet. just running averages on that alone, then sorting, is super easy AND super insightful! That's really cool to break it down like that! I want to do things like that, and then I'll input a little bit, and then get frustrated cause it's taking so long and then I give up LOL. This is why I am not a data analyst hahaha! But so cool to see on a spreadsheet what you can work on in your bootcamp! ha yea it can definitely be obnoxiously time consuming to try to wrangle all the data together.... luckily i've kinda done it all in small pieces over time (like adding the scores into all my videos so they're always just a click away when i want them) so that makes it easier. bc yea, while most of this was more or less in line with my expectations, there's still a lot to learn from it! This a great analysis and what a good way to figure out what you need to work on. I think I will do this next year! Your math/science brain is fascinating to me. And I am so jealous of your graphing skills, lol! Also a 33.8% average is really really fantastic!! I love all of this data analysis! We've started our monthly lessons with the new trainer to help motivate through the winter. My current homework includes a lot of backing, turn on the haunches, turn on the fore, and generally legging Griffin back into dressage after months of playful work. I love this type of analysis! I have started doing excel sheets for my dressage scores as well and the trends can be really interesting. All your scores are pretty impressive!! This chart is totally cool! What a great idea girl! Your organization is seriously incredible. I'm in awe!! !